(Nashville, TN, May 29, 2018) David Lee Murphy and Kenny Chesney’s positive vibe “Everything’s Gonna Be Alright,” enters the Top 5 this week at country radio. For Murphy, it’s his 5th Top 5 hit as an artist and 12th Top 5 as a songwriter. “Everything’s Gonna Be Alright” is the lead single from Murphy’s Blue Chair/Reviver Records album No Zip Code. Murphy co-wrote all 11 tracks on the album, which features his signature edgy, rocking style, a style which now dominates modern country music. Chesney, who’s recorded several of Murphy’s songs, encouraged the Illinois-born artist/writer to make this new record, as well as co-producing the project along with Buddy Cannon. With a career that spans more than 23 years as an artist and songwriter, Murphy has reached the Top 10 on country airplay charts an incredible 21 times. With 9 No.1s, his own hits “Dust on the Bottle and “Party Crowd” continue to be staples at country radio. Among those recording Murphy’s songs: Chesney (“’Til It’s Gone,” “Living in Fast Forward,” “Live a Little”), Jason Aldean (“Big Green Tractor,” “The Only Way I Know How”), Thompson Square (the GRAMMY-nominated “Are You Gonna Kiss Me Or Not”), Jake Owen (“Anywhere With You”), and Blake Shelton (“The More I Drink”). 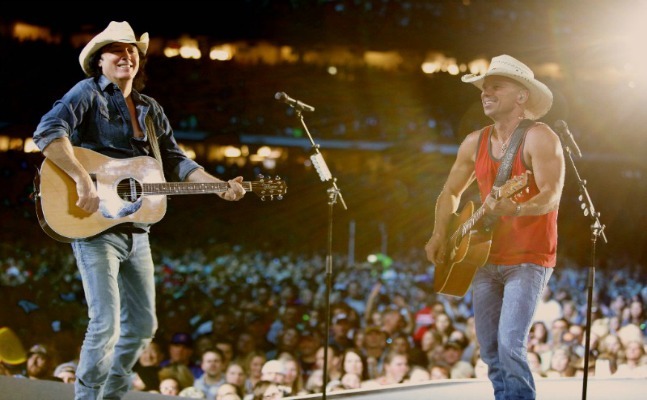 Chesney and Murphy have been performing “Everything’s Gonna Be Alright” on select dates on Chesney’s Trip Around the Sun Tour, most recently at Minneapolis’ U.S. Bank Stadium, Milwaukee’s Miller Park, and Atlanta’s Mercedes-Benz Stadium. The pair will be surprising fans at stadium dates throughout the summer. No Zip Code EPK: VIEW HERE. For tour dates and more, visit www.davidlee.com. And follow him on Instagram @davidleemurphy and Twitter @davidleemurphy.